The Intel Core i7-7560U and i7-7660U aren’t widely adopted laptop processors. But still, the latter one is an important CPU because it’s used in the famous Microsoft Surface Laptop. The i7-7560U and i7-7660U are on the top of the chip maker’s dual-core CPU lineup. 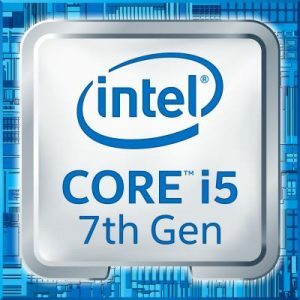 The parts belong to the 7th Generation Intel Core series. They offer faster clock speeds and better integrated graphics than on the regular 7th Gen i7-7500U, while retaining the same 15-Watt power consumption. Differences between the Intel Core i7-7560U and i7-7660U are minor. The former runs at 2.4 GHz default speed and up to 3.8 GHz in TurboBoost mode, while the latter is clocked at 2.5 – 4.0 GHz. That’s a minor clock speed difference. In addition to that, the 7660U variant supports enterprise-oriented Intel vPro system management technology, which is lacking on the 7560U. In the User Benchmark CPU tests, the i7-7560U and i7-7660U show an admirable lead over the other dual-core chips. Also, they are close performance-wise to the current generation of the Intel quad-core Core HQ-series notebook parts, which are typically used in gaming laptops. In the real world use, the i7-7560U and i7-7660U can effortlessly handle all the routine home and office PC tasks and also have some extra oomph for more taxing duties like multimedia production. For these heavier tasks, the 45-Watt quad-core Intel Core chips are an ideal solution. However, the i7-7560U / 7660U are good power-efficient alternatives to them, enabling thin-and-light notebook designs and noticeably lower battery draining. As for graphics processing, both chips utilize the same Intel Iris Plus 640 GPU. Unlike the most integrated graphics solutions which use only the main system memory for rendering purposes, the Intel Iris Plus 640 additionally utilizes its own 64MB dedicated memory for improved performance. The Iris Plus 640 is considerably better than the more common Intel HD 620, but still it isn’t a gaming class GPU. It can be used for casual games and some lighter and older 3D game titles.